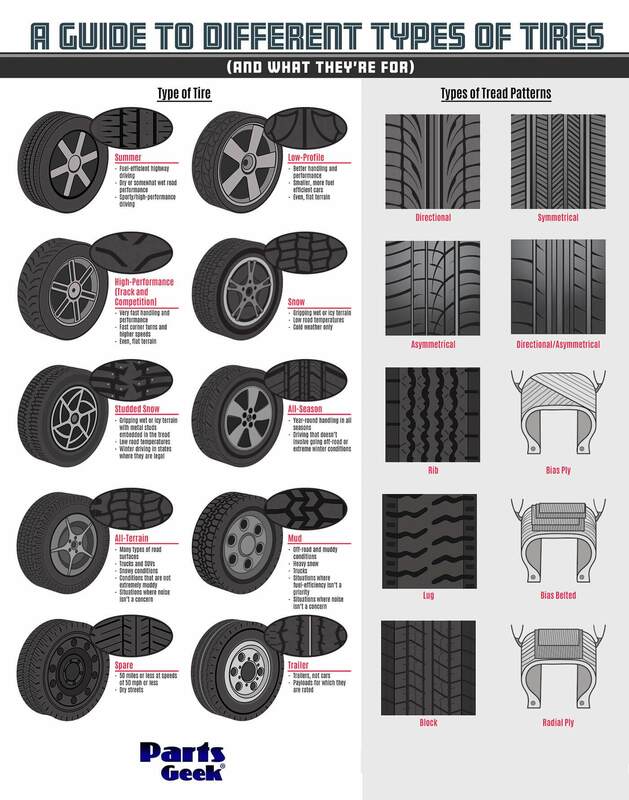 A Guide to Different Types of Tires #Infographic ~ Visualistan '+g+"
When was the last time you thought about the tires on your truck or SUV? Many people stick with the factory-installed all-season tires that came with their car and never give it a second thought. Matching the right tire to your vehicle can help you maximize performance, fuel economy, and so much more. This graphic explores ten different types of tires, what they’re for, and what they look like. For example, did you know that there is more than one type of “snow” tire, or that there is a difference between “all-season” and “all-terrain” tires? Frequent road-trippers should know that getting the best MPG rating out of your car starts with the tires. If you’re interested in making less trips to the pump, you should look no further than your four wheels! Learn all about tire styles, tread patterns and plies, so that you can make an informed purchase before you hit the road.